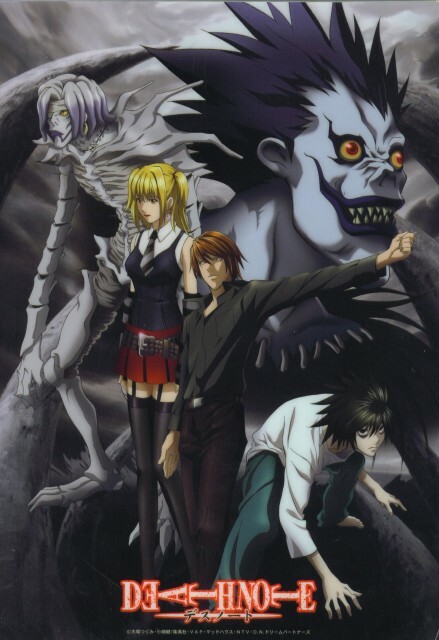 What a GREAT Death Note poster! What is the meaning of this!? I have never seen this wallpaper before anywhere in stores! (Mom we need to go shopping, pronto, ASAP,ahhhhhhhhhh)! I my goodness, must download! Thanks for sharing very much! Cool scan, really. Everyone's post is just perfect. ryuk looks like sonny boy! Nice Poster! I love Light Strike Pose. It look so macho. Awesome scan! I love it!.. Misa looks really cute. Thanks! very nice scans. thanks for sharing .